There's nothing we love more than snagging a peek at those first facts and figures about cruise ships that are on order. 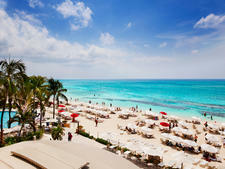 We just love learning about new cruise ships. The process, from design to keel laying to launch, generally takes two to three years. We keep track of the larger cruise ships under construction in our chart below. If you are interested in Expedition ships under construction check out our New Expedition and Adventure Cruise Ships on Order and if the luxury market piques your interest, you can see all of those under construction in our New Luxury Cruise Ships on Order article. Want to learn more about what it takes to make an older ship feel like new? Peruse our comprehensive list of cruise ship refurbishments for information about upcoming overhauls. MSC Bellissima is the second of the line's Meraviglia-class ships (the first, MSC Meraviglia, launched in June 2017). Bellissima will be identical to Meraviglia both in terms of size and features, and will include Cirque du Soleil at sea. A promenade with an 80-meter LED ceiling that changes throughout the day (think the Bellagio Hotel in Las Vegas) will be the ship's hub; there will be partnerships with various celebrity chefs, 12 restaurants, cutting-edge technology including RFID wristbands; a huge kids' club with partnerships with LEGO and Chicco; a sports complex and a huge "ship within a ship" complex, the Yacht Club. Royal Caribbean's Spectrum of the Seas will debut in 2019. Like its sister ships -- Quantum of the Seas, Anthem of the Seas and Ovation of the Seas -- this fourth ship will feature activities such as onboard bumper cars and a skydiving simulator. It also will feature the North Star, a pod that extends up and over the ship for 360-degree views. Inside cabins will feature "virtual balconies" -- essentially floor-to-ceiling LCD TV screens linked to a camera mounted on the outside of the ship. It also will feature the innovative entertainment space, Two70, which integrates HD-digital technology with singing, dancing and acrobatics. Not a "new" ship as such, the 1,814-passenger ship is currently sailing in China as SkySea Golden Era and began life in 1995 as Celebrity Century. Marella Explorer 2 will be a sister ship to Marella Explorer, formerly Celebrity Galaxy, which launched in 2018. In a first for the family-friendly line, the ship will be adults-only. 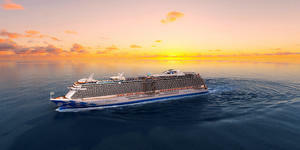 It will have many of the same new-to-the fleet features which debuted on Marella Explorer including a Champneys Spa and a number of brand new shows, as well as a number of dining and drinking venues including Asian fusion restaurant Kora-La, Shake Shack and Surf and Turf. The key difference will be the exclusive Veranda (the adults only area on Marella Explorer) which will be doubled in size on the new ship; and a new Royal Suite. The long-awaited new-build from Saga Cruises, Spirit of Discovery, will retain the small ship cruise experience the line is known for, with just 540 cabins -- 100 of which will be specifically designed for solo travellers -- and capacity for 999 passengers. There will be single sitting dining throughout a range of restaurants as well as a variety of bars, specialty restaurants, including a free Asian restaurant, and al fresco dining options. There will also be a well-stocked library, outdoor and indoor swimming pools, a spa, saunas, treatment rooms and beauty salon. At 331 meters long with 2,444 cabins, MSC Cruises' MSC Grandiosa will carry nearly 6,300 passengers and combine unique facilities and onboard entertainment. 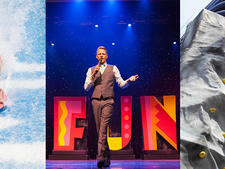 Venues include a fine art museum and onboard Cirque du Soleil show. 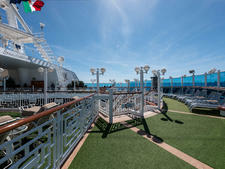 MSC Grandiosa also features a 111-meter-long indoor promenade with a range of restaurants, bars and shops. The promenade is covered by a "digital sky" LED screen. Additional facilities include family group "cluster cabins," a double-deck indoor amusement park, double-deck entertainment space and aft lounge, and an outdoor water park. Norwegian Encore will be the fourth ship in NCL's Breakaway-Plus Class and will be the same size as fleetmates Joy and Bliss, coming in at 163,000 tons and carrying nearly 4,000 passengers. 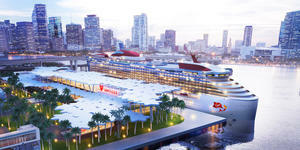 It will homeport out of Miami. Costa Smerelda is the first ship in a brand new class for Costa Cruises that will have the largest passenger capacity at sea (6,600 cruisers at full capacity) and be capable of using LNG fuel to generate 100 percent of its power both in port and on the open sea. Princess' fourth Royal-class ship, Sky Princess, will debut in 2019. It will include staples like the three-deck-high Piazza atrium, Movies Under the Stars and balconies in 80 percent of the cabins, as well as a number of "new to the line" features. 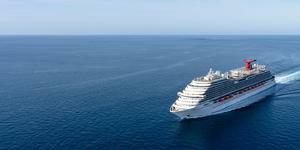 Carnival Panorama will be similar to fleetmates Carnival Vista, which debuted in Spring 2016, and Carnival Horizon, which comes out in spring 2018. Carnval Panorama, part of the line's Vista Class, will also be built at the Fincantieri shipyard in Italy. 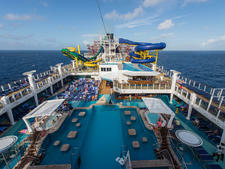 It will feature Carnival's 2.0 enhancements as well as a number of innovations unique to the ship. The first of three identical ships to debut for the Virgin Voyages brand, adults-only Scarlet Lady will feature the line's "Vitamin Sea" concept, which focuses on passenger wellness, relaxation and fun. A series of public spaces -- including a fitness center, spa, salon, bar and nightclub -- will be positioned so that passengers can easily move between them to detox by working out or having a spa treatment and then, subsequently, "retox" with a drink or two and a night of dancing. Notable features include 10 private cabanas, dedicated spaces for blowouts and mani/pedi treatments, an outdoor boxing ring and a test kitchen. 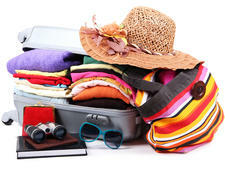 The ship will offer seven-day Caribbean itineraries out of Miami, with a Sunday sail date. Celebrity Apex is the sister ship to the game-changing Celebrity Edge and will feature a number of new-to-cruise features, including: The Magic Carpet, a movable deck cantilevered off the side of the ship which rises from decks 2 to 16 and transforms into a bar, a restaurant and an extension of the embarkation area; Infinite Veranda, a cabin designed to blend indoor and outdoor using bi-fold doors, adding almost a quarter again in size; a Resort Deck, which features a large pool flanked by sculptural trees and two "martini glass" Jacuzzis that overlook the deck below; a Rooftop Garden, borrowing from the hugely popular Lawn Club of the Solstice Class ships, but adding childhood whimsy; and The Retreat, a serene area that includes a private pool and sundeck, lounge and restaurant. The ship will also feature two stunning new suite classes: the 5,000-square foot Iconic Suite; and the Edge Villa, a two-level suite. P&O Cruises' Iona will the biggest-ever ship built specifically for the U.K. market will also be the first powered entirely by Liquefied Natural Gas (LNG), making it the greenest ship in P&O Cruises' history. Stand-out features include a half-mile Lanai deck -- complete with al fresco dining and drinking; a giant glass dome, a massive Atrium with triple-deck glass windows; 17 eateries -- including seven speciality restaurants -- 12 bars, 13 entertainment venues, four pools and 16 whirlpools. Spirit of Adventure, the second new-build from Saga Cruises will be a sister to Spirit of Discovery, which launches in July 2019. The ship will retain the small ship cruise experience the line is known for, with just 540 cabins -- 100 of which will be specifically designed for solo travellers -- and capacity for 999 passengers. Little is known at this stage, but it is likely the ship will have the same features as Spirit of Discovery with single sitting dining in a range of restaurants as well as a number of bars, specialty restaurants, including a free Asian restaurant, and al fresco dining options. There will also be a well-stocked library, outdoor and indoor swimming pools, a spa, saunas, treatment rooms and beauty salon. It will replace Saga Sapphire. Enchanted Princess will debut in 2020 in Europe. It will include staples like the three-deck-high Piazza atrium, Movies Under the Stars and balconies in 80 percent of the cabins, as well as a number of "new to the line" features. The first of two 5,200-passenger vessels to be built for Carnival Cruises, which will be able to accommodate 6,600 passengers at maximum capacity. The ships will be largest in the world by passenger capacity. The vessels also will employ engines that run on liquefied natural gas. 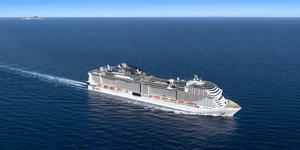 At 331 meters long with 2,444 cabins, MSC Virtuosa will carry nearly 6,300 passengers and combine unique facilities and onboard entertainment including a fine art museum and onboard Cirque du Soleil show. Meraviglia Plus will also have a 111-meter-long indoor promenade with numerous restaurants, bars and shops. The promenade is covered by a "digital sky" LED screen showing events and vistas around-the-clock. Additional facilities include family group "cluster cabins," a double-deck indoor amusement park, double-deck entertainment space and aft lounge, and an outdoor water park. Princess Cruises' Golden Princess will be transferred to P&O Cruises' Australian fleet and renamed Pacific Adventure, becoming its biggest and youngest ship. Introducing new features for P&O, it will have five-berth family cabins and the Byron Beach Club, which is a private pool and bar exclusively for passengers booked in suites and mini suites. There will also be new dining options from local chefs Luke Mangan and Johnny Di Francesco, as well as the line's most popular venues such as the Blue Room and the Oasis retreat. The overall look of the ship is expected to mirror the contemporary design of Pacific Explorer. Royal Caribbean's second Quantum Ultra Class vessel will debut in 2020. 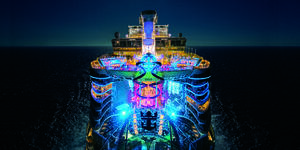 Like its Quantum-class fleetmates -- Quantum of the Seas, Anthem of the Seas and Ovation of the Seas -- Odyssey is expected to feature activities such as onboard bumper cars and a skydiving simulator. It should also feature the North Star, a pod that extends up and over the ship for 360-degree views. Inside cabins will likely feature "virtual balconies" -- essentially floor-to-ceiling LCD TV screens linked to a camera mounted on the outside of the ship. It is also expected to feature the innovative entertainment space, Two70, which integrates HD-digital technology with singing, dancing and acrobatics. The yet-unnamed ship will be the first new build from Disney since 2012, when Disney Fantasy debuted. Details are still scant, but expect family-friendly features such as waterslides, cabins with dual bathrooms and expansive kids' clubs. The second of three identical ships to debut for the Virgin Voyages brand. Using public input, the yet-unnamed mid-size ship will be built "around the needs and desires of the customer," with a heavy focus on millennial interests and activities. Royal Caribbean's fifth Oasis-class ship (yet unnamed) is scheduled for delivery in 2021. It will be built at Saint Nazaire's STX shipyard. Royal Caribbean President and CEO Michael Bayley has said the ship will be slightly bigger than Symphony of the Seas, the current biggest ship in the cruise line's fleet. The second ship in a brand new class for AIDA that will carry more than 6,000 passengers at full capacity and be capable of using the environmentally-friendly LNG variety of fuel to generate 100 percent of its power both in port and on the open sea. Celebrity Cruises' third Edge-class ship is due for launch in the fall 2021. Like its sisters, it will feature a number of stand-out features, including: The Magic Carpet, a movable deck cantilevered off the side of the ship which rises from decks 2 to 16 and acts as a bar, restaurant and embarkation area; Infinite Veranda cabins, a cabin designed to blend indoor and outdoor thanks to bi-fold doors, adding almost a quarter again to the size of the cabin; Resort Deck, which features a large pool flanked by sculptural trees and two "martini glass" Jacuzzis that overlook the deck below; Rooftop Garden, borrowing from the popular Lawn Club of the Solstice Class ships, but adding childhood whimsy; and The Retreat, a serene area only for suite passengers, which includes a private pool and sundeck, lounge and restaurant. The ship will also feature two stunning new suite classes: the 5,000-square foot Iconic Suite; and the Edge Villa, a two-level suite. Ryndam will be Holland America's fourth ship to carry that name and the third ship in the Pinnacle Class, which also includes Koningsdam and Nieuw Statendam, which debuted in November 2018. It will be built at Italy's Fincantieri shipyard. Ryndam will feature a music walk, which will include B.B. King's Blues Club, Lincoln Center Stage and Billboard Onboard, French brassiere Sel de Mer, and Blend, a wine-mixing Venue. It also will include a World Stage, a 360-degree entertainment venue that blends music and dance with a wraparound screen, which comes to life and integrates with the live action. The second ship in a brand new class for Costa Cruises that will have the largest passenger capacity at sea (6,600 cruisers at full capacity) and be capable of using LNG fuel to generate 100 percent of its power both in port and on the open sea. The last of three identical ships to debut for the Virgin Voyages brand. Using public input, the yet-unnamed mid-size ship will be built "around the needs and desires of the customer," with a heavy focus on millennial interests and activities. Cunard's first new-build ship since the launch of Queen Elizabeth in 2010, the as-yet-unnamed next-generation vessel will become the largest in the fleet (by passenger capacity) when it debuts in 2022. Celebrity Cruises' fourth Edge-class ship is due for launch in the fall 2022. Like its sisters it will include some stand out features, including: The Magic Carpet, a movable deck cantilevered off the side of the ship which rises from decks 2 to 16 and acts as a bar, restaurant and embarkation area; Infinite Veranda cabins, a cabin designed to blend indoor and outdoor thanks to bi-fold doors, adding almost a quarter again to the size of the cabin; Resort Deck, which features a large pool flanked by sculptural trees and two "martini glass" Jacuzzis that overlook the deck below; Rooftop Garden, borrowing from the popular Lawn Club of the Solstice Class ships, but adding childhood whimsy; and The Retreat, a serene area only for suite passengers, which includes a private pool and sundeck, lounge and restaurant. The ship will also feature two stunning new suite classes: the 5,000-square foot Iconic Suite; and the Edge Villa, a two-level suite. This is the first of six new ships from Norwegian Cruise Line that will be part of the Leonardo Class. At 140,000 gross tons and holding 3,300 passengers, the Leonardo ships are larger than the line's 2,500-passengger Jewel-class ships but smaller than the 4,000-plus-passenger Breakaway- and Breakaway-Plus ships. The ship will cost around $850 million to build. No details of the design or onboard features have been released, but the line says one of the key priorities will be energy efficiency. The second of two 5,200-passenger vessels to be built for Carnival Cruises, which will be able to accommodate 6,600 passengers at maximum capacity. The ships will be largest in the world by passenger capacity. The vessels also will employ engines that run on liquefied natural gas. The first of up to four liquid nitrogen gas-powered ships to launch for MSC Cruises, MSC Cruises' yet-unnamed World-class ship will feature cutting-edge design that will maximize the space for passengers. It will have a host of features for families and the latest smart technology and advanced environmentally friendly technology available, MSC says. 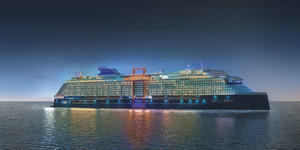 The first ship in Royal Caribbean's next class of cruise ship, the so-called Icon Class. It will be powered by liquefied natural gas and use fuel cell technology to reduce greenhouse gas emissions. Princess' sixth Royal-class ship will debut in 2022. It will include staples like the three-deck-high Piazza atrium, Movies Under the Stars and balconies in 80 percent of the cabins, as well as a number of "new to the line" features. The yet-unnamed ship will be the sister ship to Disney's 2021 vessel. Details are still scant, but expect family-friendly features such as waterslides, cabins with dual bathrooms and expansive kids clubs. The second of six new ships from Norwegian Cruise Line, which will be based on the line's popular "Breakaway-plus" class of ships. This ship will be significantly smaller, coming in at 23,000 tons less and carrying around 1,000 fewer passengers. Each ship will cost around $850 million. No details of the design or onboard features have yet been released, but one of the key priorities will be energy efficiency, according ton Norwegian. The yet-unnamed ship will be a sister ship to Disney's 2021 and 2022 vessels. Details are sscant, but expect family-friendly features such as waterslides, cabins with dual bathrooms and expansive kids clubs. The third ship in a brand new class for AIDA that will carry more than 6,000 passengers at full capacity and be capable of using the environmentally-friendly LNG variety of fuel to generate 100 percent of its power both in port and on the open sea. The first in a new class of ship for Princess Cruises, this ship will be powered in part by LNG fuel. 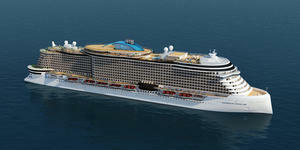 The second of up to four LNG-powered ships to launch for MSC Cruises. The ships will have a cutting-edge design that will maximize the space for passengers, a host of features for families and the latest smart technology and advanced environmentally friendly technology available, according to MSC. The second ship in Royal Caribbean's next class of cruise ship, the so-called Icon Class. It will be powered by liquefied natural gas and use fuel cell technology to reduce greenhouse gas emissions. The first of two LNG-powered ships from TUI Cruises. The third of six Leonardo-class ships from Norwegian Cruise Line, which will be smaller than the line's popular "Breakaway-plus" class of ships, coming in at 23,000 tons smaller and carrying around 1,000 fewer passengers. No details of the design or onboard features have yet been released, but one of the key priorities will be energy efficiency, according to Norwegian. The fourth of six Leonardo-class ships from Norwegian Cruise Line. The second in a new class of ship for Princess Cruises that will be powered, in part, by LNG fuel. The fifth of six Leonardo-class ships from Norwegian Cruise Line. The second of two LNG-powered ships from TUI Cruises. The last of six Leonardo-class ships from Norwegian Cruise Line.